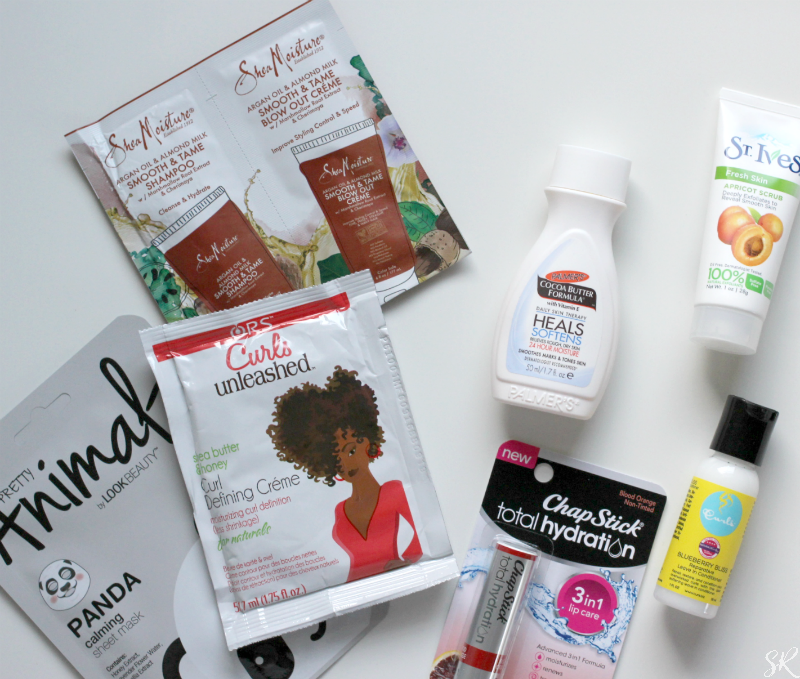 The latest Target Beauty Box is especially for curly girls like myself. It comes with a bunch of natural hair care product samples and other goodies. I just love cheap subscription boxes and this one did not disappoint! 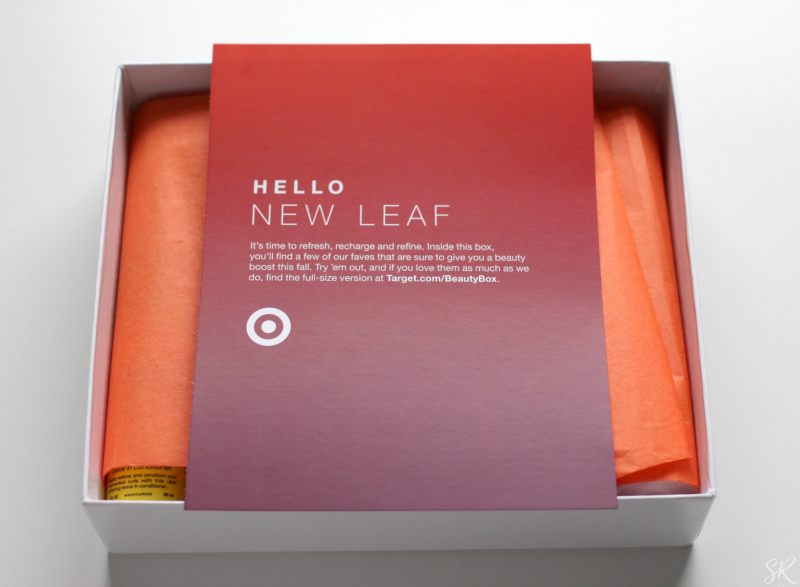 The Target Beauty Box for September 2017 is still available so don't delay in getting yours. There are two to choose from but I went with Total Hydration. Here's what's inside my latest Total Hydration Target Beauty Box. *Chapstick Hydration in Blood Orange – advanced 3 in 1 formula helps moisturize, renew and transform for younger-looking lips. I bet you can guess the very first product I'm going to try. Yep, that Chapstick Total Hydration is going on my lips right now! *Curls Blueberry Leave-In Conditioner – special formula helps to hydrate, promote hair growth and support Keratin production. I've tried the Curls Blueberry Bliss Twist and Shout on my hair and I like it so I'm sure the lleave-in conditioner will be just fine. *Palmers Cocoa Butter Moisturizing Body Lotion – cocoa butter with Vitamin D helps to smooth and tone skin. *Saint Ives Invigorating Apricot Scrub – helps reduce breakouts before they occur made with exfoliants for a gentle deep cleanse. I have used the Apricot Scrub and sometimes this can be a little harsh on my face so I'll probably use this facial scrub on my feet. *ORS Curls Unleashed Curl Defining Cream – lasting moisture treats even the driest, damaged hair leaving it smoothe and manageable. 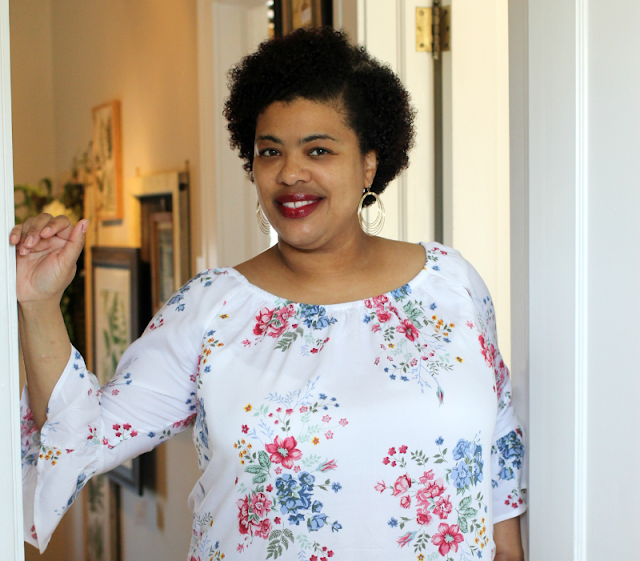 I tried the ORS Curls Unleashed Curl Defining Cream and it's nice and thick. So far, I only used it once so I need to use it a bit more to see how well it works on my curls. *Shea Moisture Argan Oil and Argan Milk Shampoo and Blowout Cream – Argan oil, Shea butter and Argan milk gently clean cleanse to tame frizz and improve shine. 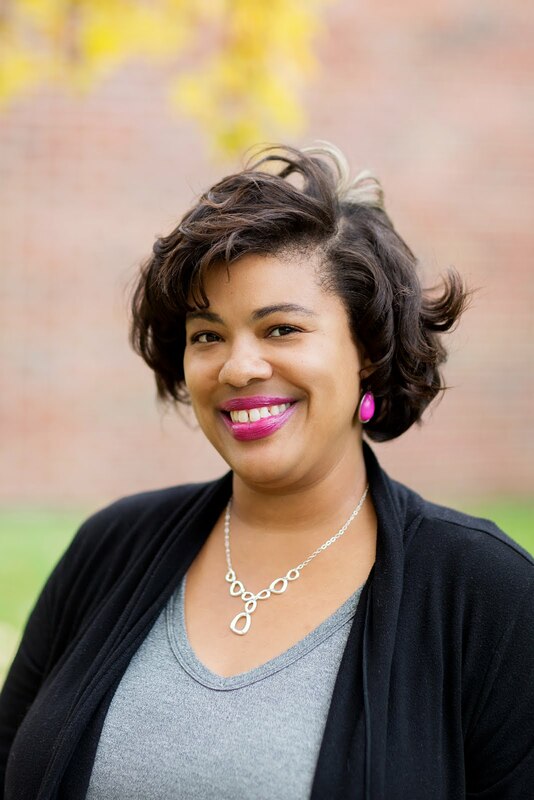 I can't wait to try the Shea Moisture sample the next time I straighten my hair, which I plan to do soon. Hopefully, it helps in keeping my naturally curly hair straight. *Pretty Animals by Look Beauty Panda - calming facial sheet mask provides intensive hydration home skin with lavender. I have so many sheet masks so I'll add Pretty Animals Panda sheet mask to my collection for future use. I'm really happy about the September Target Beauty Box because there's a lot of products I have not used before. Plus, I got a $3 off of $15 coupon which you know your girl is excited about. I can think of a few lipsticks I want to buy. 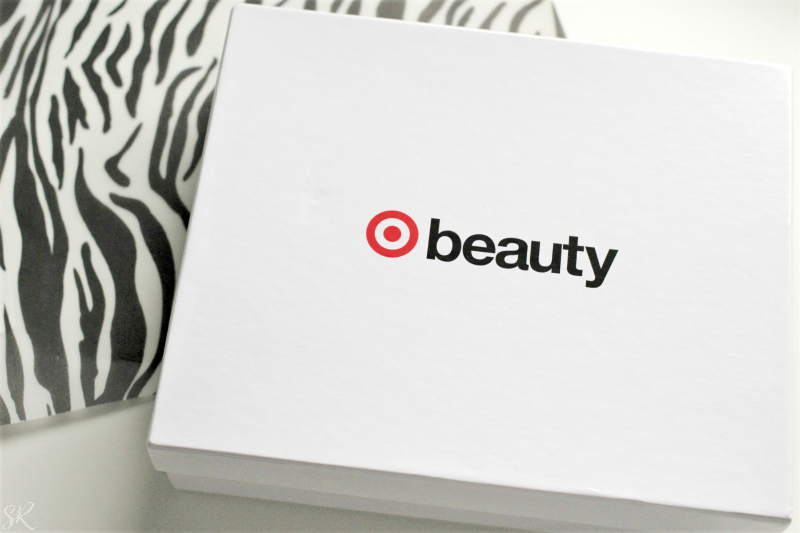 Will you be purchasing the September Target Beauty Box? This is NOT a sponsored post. I bought this box with my own money because I like it. I stopped getting these, but this is a good one! I'm going to look now to see if they're still available!! I didn't know they still had a beauty box. I love that ChapStick! Looks like a good variety of products to try. This box is full of some great brands. I can't believe it was all only $5. I would love to check this out, thanks so much for sharing! So you get all of this for only $7? I think I need to sign up for these boxes. I have been missing out! I co-sign on the curls product and the Palmers cocoa butter lotion. I'm really loving and rocking with Curls blueberry bliss twist cream and liquid vitamins. Great looking box of awesomeness there. Not bad at all. I always love your break downs of products. I love Palmers. These Target boxes are almost always a great buy! I look forward to seeing the holiday ones! For $5, this box was well worth it! You got some great goodies, and I would use every single one! They had some great items in this box. I need to purchase one for sure.